Home » Telugu » News » Bharat Ane Nenu Box Office: Mahesh Babu starrer sets new record in Australia! Bharat Ane Nenu Box Office: Mahesh Babu starrer sets new record in Australia! Mahesh Babu starrer Bharat Ane Nenu is setting a new record each day in every part of the world. Mahesh Babu starrer Bharat Ane Nenu is setting a new record each day in every part of the world. The film is receiving immense response all over the globe and has become fastest Telugu film to enter the coveted Rs 100 crore club. The political drama is not only ruling the Box Office in India but also internationally. As earlier we reported, the film has crossed 2 million USD in the USA with utmost ease. Now, it has set another record in Australia. The film, which marks Tollywood debut of Kiara Advani, has done earned A$ 339,133 (Rs 1.79 crore approx) for the Telugu versions alone. With this, BAN beats Rangasthalam in Australia and becomes the second highest grossing film of 2018 after Padmaavat. Well, the film is breaking record each day at the Box Office and with this, it looks like there is no stopping. Koratala Siva directorial is getting a thunderous response since day one and is expected to continue for weeks. The political drama features Mahesh Babu playing the Chief Minister of Andhra Pradesh. 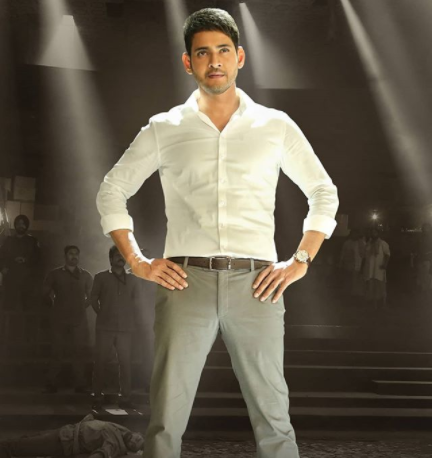 Bharat Ane Nenu focuses on Mahesh Babu’s character showcasing the journey of a young graduate taking on the state to fight for the rights of his people. Directed by Koratala Siva, Bharat Ane Nenu features Mahesh Babu as a dynamic Chief Minister. Kiara Advani is the heroine and DVV Danayya bankrolled this big-budget political drama. As we all know, over the years Megastar Mahesh Babu has garnered not only a pan India audience, but the Telugu star is also garnering eyeballs from across the globe. His films have been doing magic across the globe.